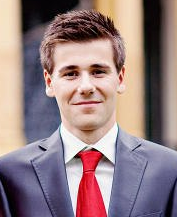 Explanation:Difficulty Difficulty of item is estimated as percent of students who answered correctly to that item. SD standard deviation, RIT Pearson correlation between item and Total score, RIR Pearson correlation between item and rest of items, ULI - Upper-Lower Index, Alpha Drop - Cronbach's alpha of test without given item. Item Response Theory (IRT) models are mixed-effect regression models in which student ability (theta) is assumed to be a random effect and is estimated together with item paramters. Ability (theta) is often assumed to follow normal distibution. Differential item functioning (DIF) occurs when people from different groups (commonly gender or ethnicity) with the same underlying true ability have a different probability of answering the item correctly. If item functions differently for two groups, it is potentially unfair. DIF is not about total scores! 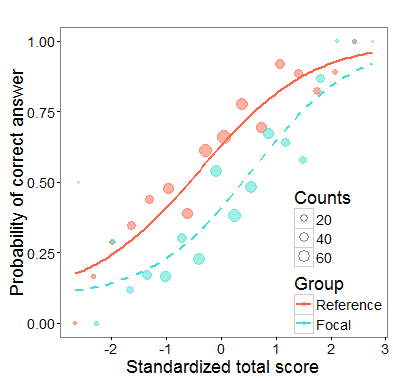 Two groups may have the same distribution of total scores, yet, some item may function differently dor the two groups. Also, one of the groups may have signifficantly lower total score, yet, it may happen that there is no DIF item! 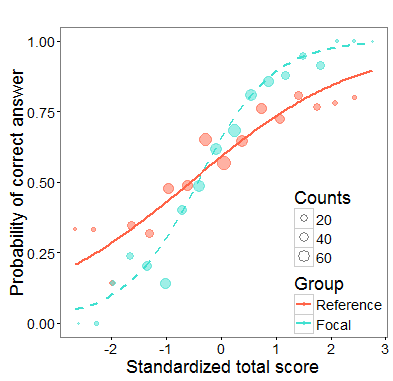 Delta plot (Angoff and Ford, 1993) compares the proportions of correct answers per item in the two groups. It displays non-linear transformation of these proportions using quantiles of standard normal distributions (so called delta scores) for each item for the two genders in a scatterplot called diagonal plot or delta plot (see Figure). Item is under suspicion of DIF if the delta point considerably departs from the diagonal. 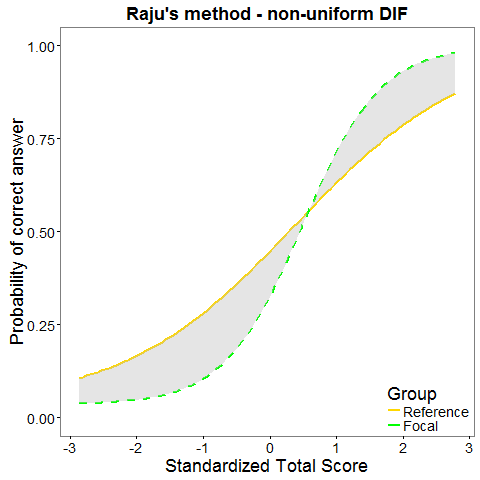 Logistic regression allows for detection of uniform and non-uniform DIF (Swaminathan and Rogers, 1990) by adding a group specific intercept bDIF (uniform DIF) and group specific interaction aDIF (non-uniform DIF) into model and by testing for their significance. 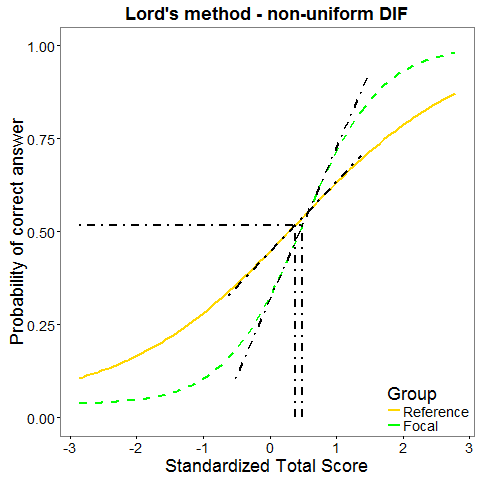 Nonlinear regression model allows for nonzero lower asymptote - pseudoguessing c. Similarly to logistic regression, also nonlinear regression allows for detection of uniform and non-uniform DIF (Drabinova and Martinkova, 2016) by adding a group specific intercept bDIF (uniform DIF) and group specific interaction aDIF (non-uniform DIF) into the model and by testing for their significance. 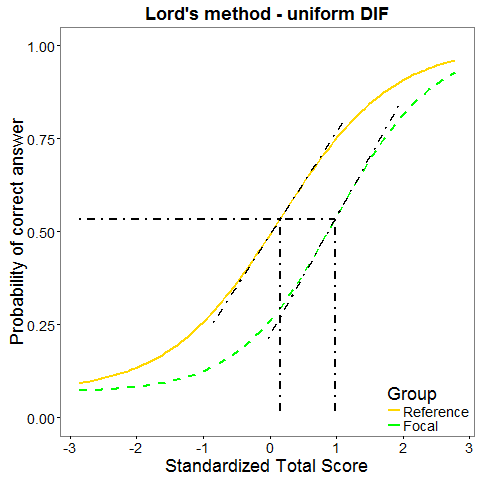 Lord statistic (Lord, 1980) is based on IRT model (1PL, 2PL, or 3PL with the same guessing). It uses the difference between item parameters for the two groups to detect DIF. In statistical terms, Lord statistic is equal to Wald statistic. 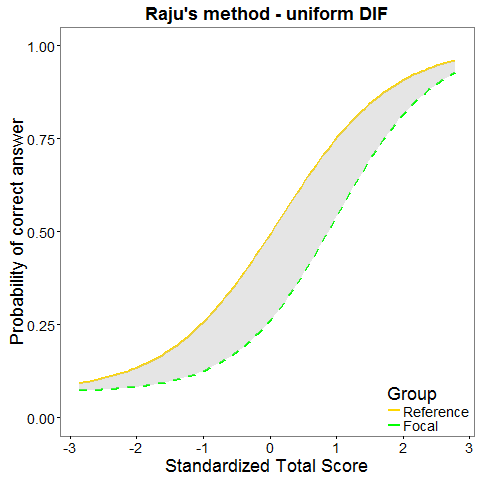 Raju statistic (Raju, 1988, 1990) is based on IRT model (1PL, 2PL, or 3PL with the same guessing). It uses the area between the item charateristic curves for the two groups to detect DIF. For demonstration purposes, 20-item dataset GMAT and datasets GMATkey and GMATgroups from R library(difNLR) are used. On this page, you may select your own dataset (see below). To return to demonstration dataset, refresh this page in your browser (F5) . Used dataset GMAT is generated based on parameters of real Graduate Management Admission Test (GMAT) data set (Kingston et al., 1985). However, first two items were generated to function differently in non-uniform and uniform way respectively. 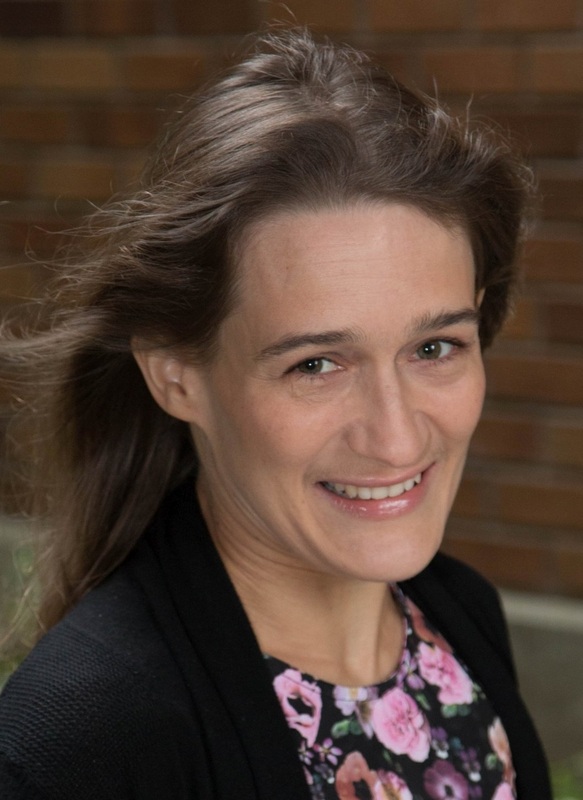 The data set represents responses of 1,000 subjects to multiple-choice test of 20 items. Main dataset should contain responses of individual students (rows) to given items (collumns). Header may contain item names, no row names should be included. If responses are in ABC format, the key provides correct respomse for each item. If responses are scored 0-1, key is vecor of 1s.